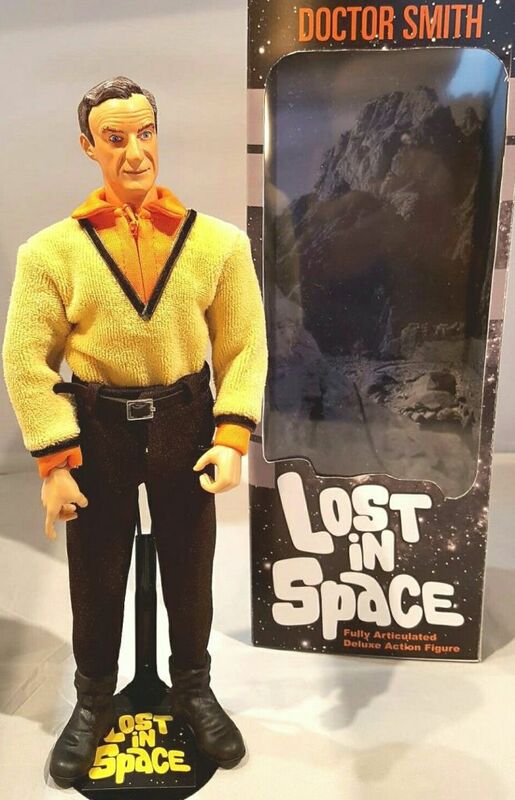 A 1:6 scale (12 inch) custom made Doctor Zachary Smith in alternate season one costume (used in a few episodes) from the Classic tv series "Lost in Space". With exception of Dragon made body, all parts are hand made and sewn in USA. Dr. Smith comes in season one costume, stand, and attractive display box as shown.